In Massachusetts, Burn Injury Awareness week was held in early February to remind the public of the serious risks of burn accidents. While burns are most often attributed to fires, the reality is that fire is not the leading cause of burns in Massachusetts. Instead, as WWLP reports, the leading burn injury cause is hot liquids scalding kids under the age of five. Young children and the elderly are generally considered to have the greatest risk of suffering a burn injury, although burns are also very common in certain workplaces as well. No matter what age someone is or how a burn happens, burn injuries have something in common: these injuries are often very painful and very expensive to treat. Prevention should be a top goal, and those who do sustain a burn injury should speak with a Boston injury lawyer for help as soon as possible to ensure they have the money they need for plastic surgery and other treatments. Making sure not to hold babies or toddlers while holding hot beverages. A squirming child could cause a spill and a scald injury. Moving drinks and soups towards the center of the table, since babies tend to be curious and can grab things off the end. Using place mats instead of a tablecloth to eliminate the risk that a young child will pull everything that is on the table off of it. Creating a three-foot safety zone around the barbecue and stove area where kids are never allowed to go, even when there is no cooking going on. Turning the pot handles inward when cooking something on the stove. Supervising young children at all times when in the bath and keeping them faced away from faucets to make it impossible for them to turn on the hot water. Unfortunately, even when parents make their best efforts to protect their young kids from burns, things can still go wrong and accidents can happen. 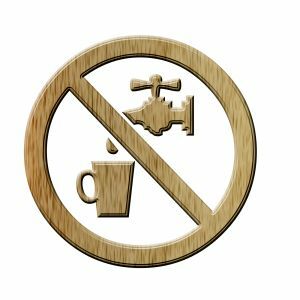 Caregivers in daycare centers, for example, could make a mistake and spill a hot beverage on a child or fail to properly supervise kids around a faucet or a stove. Restaurants could put food too close to a young child on the table and cause a spill, or landlords could have water turned up too hot in an apartment and lead to scalding injuries. Preventing burns is something that everyone needs to work together on. Whether it is parents supervising their kids; landlords setting the hot water tank to a safe temperature or employers following OSHA guidelines on prevention of burns, an ounce of prevention is worth a pound of cure. If you’ve been injured, contact Jeffrey S. Glassman for a free and confidential appointment to discuss your rights. Call 1-888-367-2900.